"Bob always goes above and beyond!" Hi, I'm Bob Schrader, an Outsourced General Counsel and consultant to startups and entrepreneurs focusing on international and online businesses. I am a responsive and experienced attorney and business owner and use my legal expertise, business experience, strategic planning and creative problem solving to ensure the success of your business from planning and startup through growth, continued operations and exit. I served as General Counsel of two private multinationals and represented clients ranging from individual investors to multinationals. My international experience goes beyond typical transactions and includes Customs, export control… read more and Federal regulatory compliance and licensing. "Bob is very knowledgeable and professional. He as assist me with several tasks and never stops to impress me. He goes way beyond the call of duty and takes his work very at heart. I am grateful for his support and would strongly recommend him. Thanks Bob for everything !" "Bob is a subject matter expert and he provided me with very insightful advise regarding my immigration case"
"Bob did a great job helping me transition my LLC from one state to another." "Always will go back to Bob with any requests! He definitely works fast and always deliver on time!" Former General Counsel of private multinationals and outsourced GC to startups. 30+ years’ experience in international transactions, import/export, operations,contracts, negotiation, internet, IP, regulatory and immigration law. I help clients avoid and solve legal and business problems. Advise entrepreneurs, startups, and internet-based companies from concept through successful operations. Advised founder and CEO on FDA compliance and labeling for new protein beverage products. Recommended alternative ingredient based on research which was ultimately adopted in a new formulation and initiated discussions with local vendors for distribution of the product. Managed overall legal function. 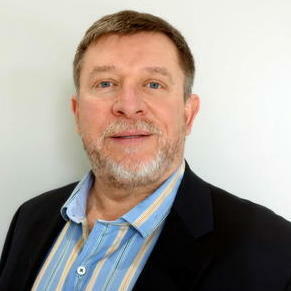 Key member of executive team & adviser to Chairman and President for real estate, labor, litigation, operations, lodging and tour operator partnerships, intellectual property rights, US and Canadian online privacy and marketing compliance, negotiate and draft all contracts, risk management, lobbying and international compliance in heavily regulated industry. Proposed, created and taught first full semester course on Regulation of International Business Transactions, US Customs and Export Control Law. Taught courses on International Business Transactions, Regulation of International Trade, and Transnational Business Practices in International Law Clinic and developed curriculum, assessments and authored course materials. First General Counsel for recruiter for construction industry with offices in US and Canada. Responsible for all legal and government relations in US and Canada. Trained and managed US and Canadian attorneys handling immigration, labor and employment matters for construction industry clients. Successful lobbied Department of Labor to remedy discrepancies in processing between Regional Offices. Practice focused on advising start-ups, foreign investors and multinationals and Fortune 500 on establishing US operations, contracts, international transactions, US Customs, ITAR/OFAC/export controls and licensing, maritime, compliance and federal regulatory matters. Frequent worldwide presenter on trade to investors & executives. Creator, author/editor of firm’s International Law Advisory. Partner responsible for all immigration, Federal Maritime Commission, shipping, corporate work for the firm. Extensive experience with US Customs issues, Foreign Trade Zones, in-bond shipments, warehousing and distribution, ITAR/OFAC and export control licensing and issues, commodities transactions, international distribution & licensing.